Our staff has demonstrated the ability to deliver a lower cost per car without sacrificing design integrity on both public and private projects. These include development of unique solutions for challenging sites, master planning, traffic patterns and controls, comfort and security. We will analyze the demands unique to a particular client and provide the optimum solution including feasibility and site selection. EDG has designed parking structures on the most demanding locations where layout was critical in ensuring the maximum number of spaces, comfortable traffic flow and enhancement of the site in relation to adjoining properties. We take into account the need to keep operational accounts to a minimum and strive to avoid mechanical ventilation and provide durability to the facility. Value Engineering and consideration of future expansion are integral parts of our design approach. 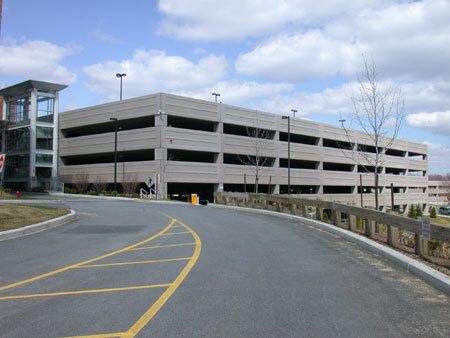 Having surveyed various forms of parking structures, we are familiar with the problems that can occur due to poor design and maintenance and we can provide unique forms of repair to extend life and ease the maintenance burden. On our restoration projects, we initiate a full survey and documentation of the existing conditions which ensures an accurate estimate, a complete set of contract documents and a satisfactory completion of the project. A total of 520 spaces were delivered using design build. The design of both garages was site specific and took advantage of the existing grades and topography. The low profile and the precast concrete spandrels perfectly complimented the existing surrounding structures. Both decks were completed in under 12 months from the start of the design at less that $7,900 per car. 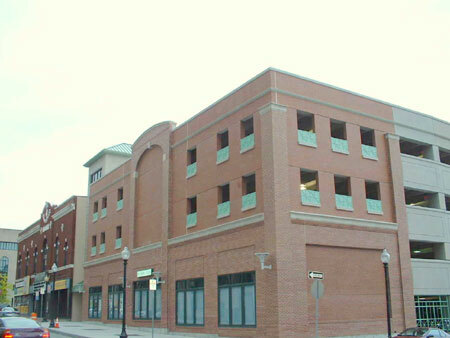 This 3-story structure with 500 cars was completed for $6.5M or $13,000 per car. 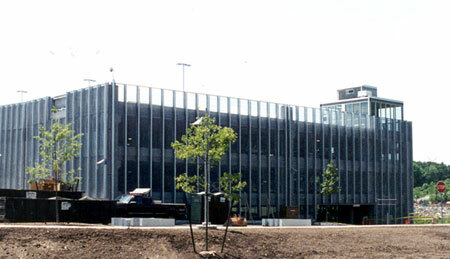 It included a unique mesh facade construction coordinated with the pharmaceutical company's architect from Sweden. 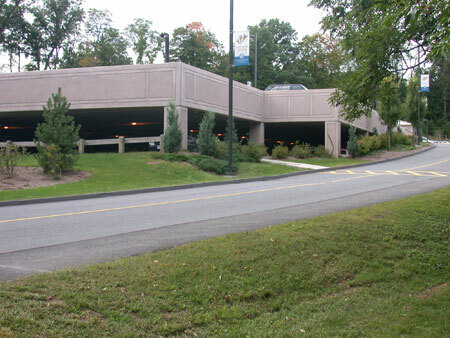 This addition to the existing 1,100 car garage, previously designed by EDG, consisted of 300 spaces. The precast concrete structure is supported on a deep pile foundation and was built under Chapter 149 bid laws for a cost of $6,545 per space. This unique facility was constructed adjacent to the Zeiterion Theater, a preserved structure in downtown New Bedford. The facade was designed to blend in and be connected with the theater. Precast spandrels with applied brick were used at critical elevations. The facility has 300 spaces and was constructed at a cost of $19,000 per space. 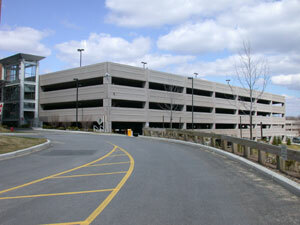 Two parking structures, together with office buildings, were constructed on the site for what was then Genuity. The 4-story structures were built in record time. 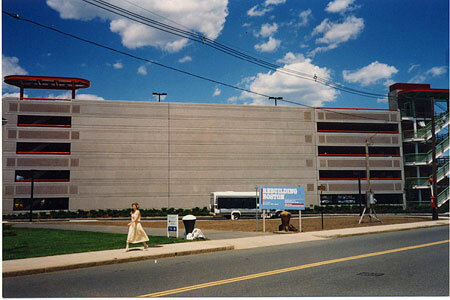 Each garage houses 770 cars and was completed in 2001 at a cost of $8,500 per space. This recent addition to the existing garage proved to be a difficult challenge due to site and erection constraints. 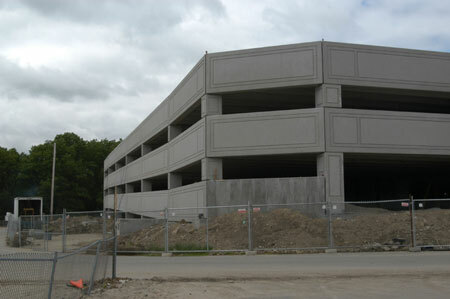 A unique solution combining steel, cast-in-place and precast, extended this 590 car facility by 474 spaces using a vertical addition. The original was designed by EDG and constructed for a total cost of $4.0M while the addition was constructed for less than $16,000 per space.